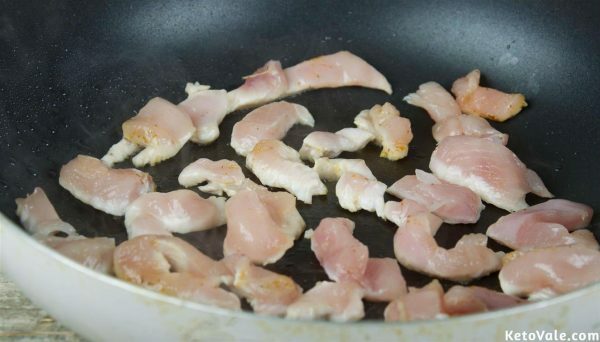 Slice the chicken breast to make small strips. Place in a bowl with the minced garlic, pepper, and salt. Let it marinate. Pan fry the chicken in olive oil on a large skillet placed over medium heat. Leave for 5-7 minutes until tender and cooked enough. Drop the tomato and onion into the pan. Cook for 3 more minutes. Let it become saucy and juicy before removing from the heat. Chop off the tips of the zucchini. Grate the vegetable by pushing along on the grater starting from the top. This will create long, slim ribbons similar to a pasta noodle. 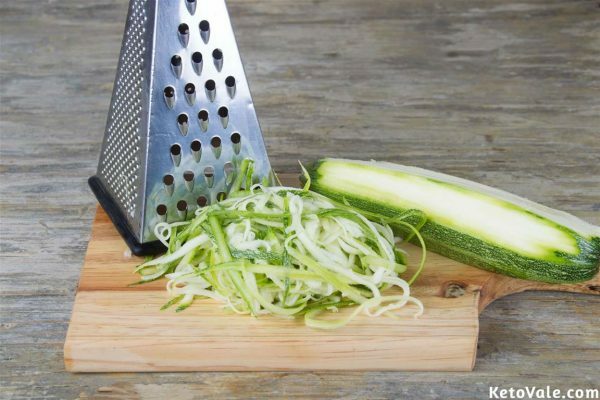 Flip the zucchini and continue grating until the zucchini is all used up. Throw away the seeds. Alternatively, create zucchini spirals with a spiralizer. Boil the zoodles in a pot of hot water for about a minute. Strain then set aside. As an option, instead of boiling the noodles, stir-fry in olive oil for around 2 minutes. Fry the cheese in a preheated skillet to make the cheese crisps. Allow it to melt and brown in the edges. 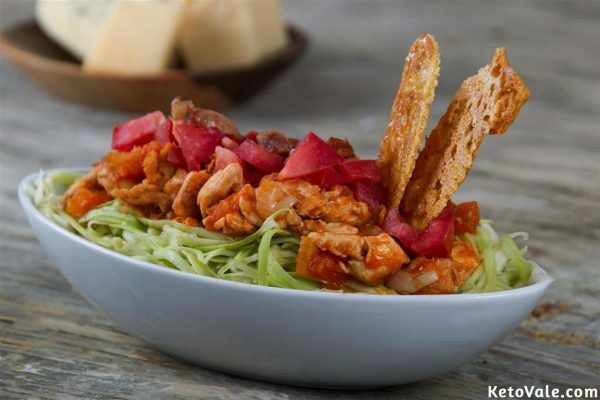 Transfer the zoodles in a plate. 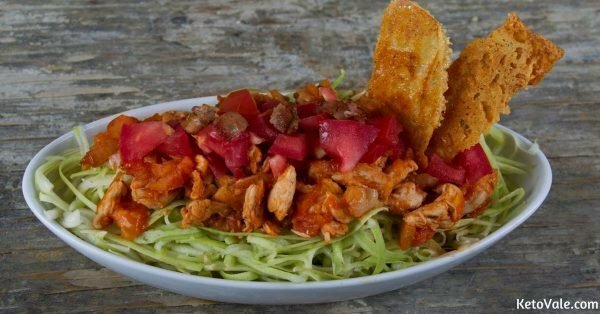 Top with the cheese crisps and chicken. 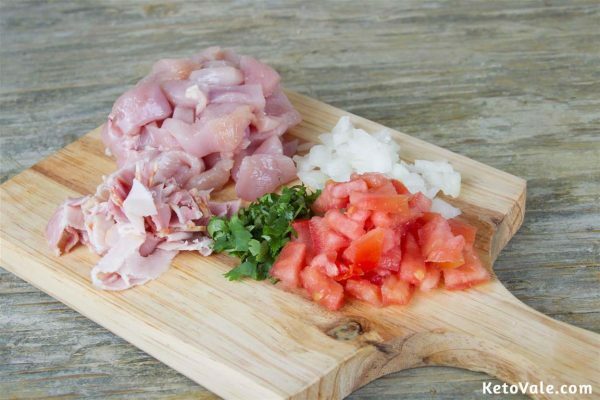 Garnish with chopped cilantro and slices of tomato.